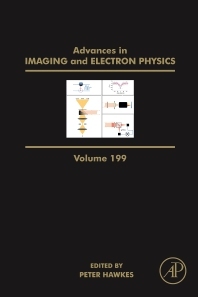 Advances in Imaging and Electron Physics, Volume 199, the latest release in a series that merges two long-running serials, Advances in Electronics and Electron Physics and Advances in Optical and Electron Microscopy features extended articles on the physics of electron devices (especially semiconductor devices). Specific topics include discussions on Micro-XRF in scanning electron microscopes, and an interesting take on the variational approach for simulation of equilibrium ion distributions in ion traps regarding Coulomb interaction, amongst others. Users will find a comprehensive resource on the most important aspects of particle optics at high and low energies, microlithography, image science and digital image processing. In addition, topics of interest, including electromagnetic wave propagation, electron microscopy, and the computing methods used in all these domains are presented and discussed.